Knowing your data tools is a ButtonClick Admin habit, and it goes without saying that I love the Excel connector– I’ll be having Ron Hess on the ButtonClick Admin podcast very soon. And while I haven’t neglected the Salesforce Workbench I’ve always wanted to have someone who can adequately give it the justice it deserves. With that said let me introduce fellow Salesforce MVP Brian Kwong. 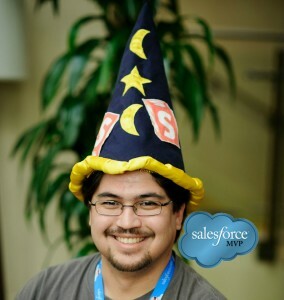 He is the Salesforce Wizard and has the hat to prove it. He has been a Salesforce Administrator for six years. In addition to being a ButtonClick Admin, Brian also utilizes Salesforce Apex and Visualforce. And with that, take it away Brian! A ButtonClick Admin is a craftsman. We are artisans using our skills to create a beautiful and functional system. Every good craftsman needs a workbench. Ours is aptly named: Workbench! Why is this our craft’s workbench? Just like Salesforce, our workbench is in the cloud! There are no downloads required. The basics are easy to learn. Almost everyone can use it, even those Apple users. The only requirement is your edition needs to have API. Enterprise, Unlimited, and API enabled Professional. A workbench is only as useful as the tools available to it. And do we have tools! Tools for Admins. Tools for Developers. We have tools to view our Salesforce setup, tools to find data, tools to manipulate data, and more. Unless you’re doing declarative setup (Workflow Rules, Adding Fields and Objects, etc), you could feasibly do almost all your management from this workbench. Not every project requires the Salesforce.com workbench. Some projects only could use the workbench for a portion of the work. To understand when we can use our workbench, let’s look at our tools. There are other great resources that go through these tools in details. Instead I’ll focus on some of my favorite and most used tools. 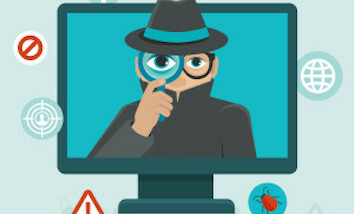 A few weeks ago, Mike posted about Solving the Salesforce Password Reset Problem. In that post he used an Apex within the Developer console. Oh Mike, if only you knew about Workbench! Workbench’s Password Management tool is available under the Utilities menu. You can either reset or set the password for a user – and it is insanely easy. You’re done! I love this tool when onboarding groups of new users. I’ll use the “Mass add user” feature and NOT generate a password. I can get all the users entered and hand out the passwords when I’m ready for them to access. I like Record Types. There can be very powerful and useful in our Salesforce orgs. I have many record types. Often I need to write formulas, validation rules, or workflow rules requiring the ID of the Record Type. Finding that ID can be annoying in the normal interface. Go to the object, click on the record type and parse the URL. It works, but I find this annoying when I need multiple IDs. To the Workbench! The Information Menu includes an option for Standard & Custom Objects. We can view information and configuration information.. This includes seeing the list of Child Relationships, Fields… and Record Type! No mess, no fuss, and no parsing URLs! This also a great tool for getting a quick list of all the Child Relationships for an object and the relationship name. I use all three of these. The most common and useful for most administrators is SOQL. I’ll save the other two for a different post. SOQl stands for Salesforce Object Query Language. It allows you to view a single record, list of records, or a count of records. You can view your records within the Workbench, or export as CSV or XML. 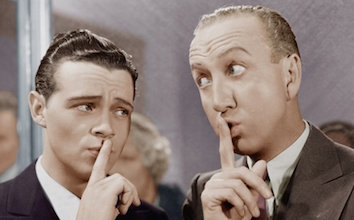 The most common reason from admins for not using SOQL is they don’t know how or where to get started. Never fear! 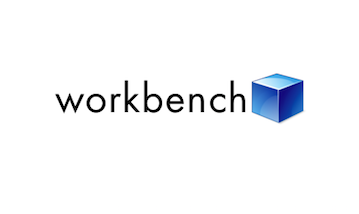 Workbench is here! SOQL queries with Workbench is almost entirely point and click. There are some SOQL queries not supported by Workbench. Regardless, this is a great tool to start to learn how to query your data. Here’s an example. I want a list of all my accounts with a Billing State of Wisconsin and a Type of Customer. This can be modified. We would change the “AND” to “OR” if we wanted Accounts in Wisconsin or has a Type of Customer. This is a simple example we could have used a report, but then we wouldn’t learn about how to write SOQL! I also prefer this tool for preparing CSVs for importing. The “Bulk CSV” option will save your query results as a CSV. This is vastly easier for me than a report and doesn’t require to ‘Save As’ to get the CSV format. There’s a lot more the Workbench can do, including configuration deploys, secret administrator notifications (Push Topics), and a cloud replacement for data loader. So be sure to join me next week for the part 2 of this post to dive into those topics. In the meantime, feel free to comment below about how you use the Workbench or any tips you have to help other Salesforce.com Admins.